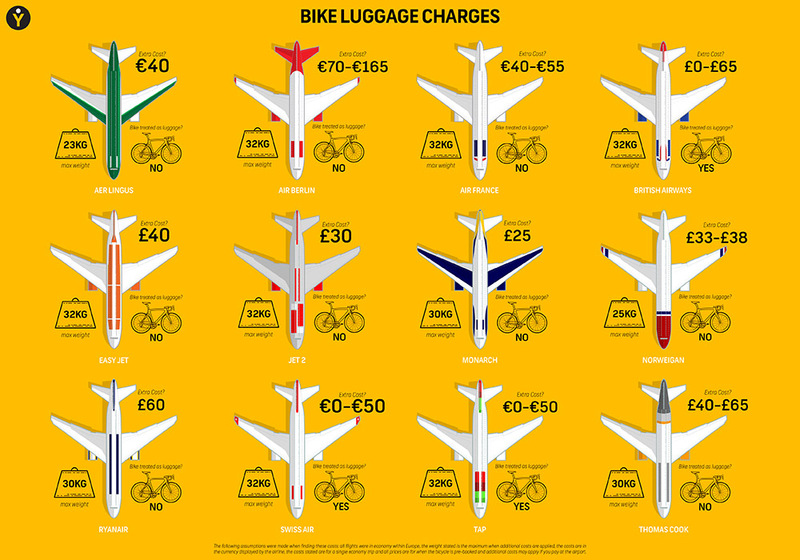 I created this infographic for YJ to help cyclists travelling around the world with their bikes. I worked with Yellow Jersey Insurance to create this online ad to drive engagement and bring attention to their new brand. The piece had to highlight exactly how each cyclist is covered by their product. I wanted to create a central character people could relate to and that's when I thought of YJ. YJ is a cycling nut. YJ wanted a product that would give him piece of mind when he's racing, traveling abroad or out in town on his bike picking up the post. This is why he chose Yellow Jersey Insurance. A few of the early ideas for YJ and ideas of how the character would sit beside the clear text, used instead of a voice over at the start of the ad. Sound was going to be key to make the piece really stand out, and the guys at Yellow Jersey suggested we used the 90's dance track 'Please Don't Go' by KWS. It was a perfect fit, a love song to the bike. I worked with talented sound designer Andrew Inwood, who re-created the track to fit with the visual style and who also created the final mix with SFX to make the whole thing really come to life.